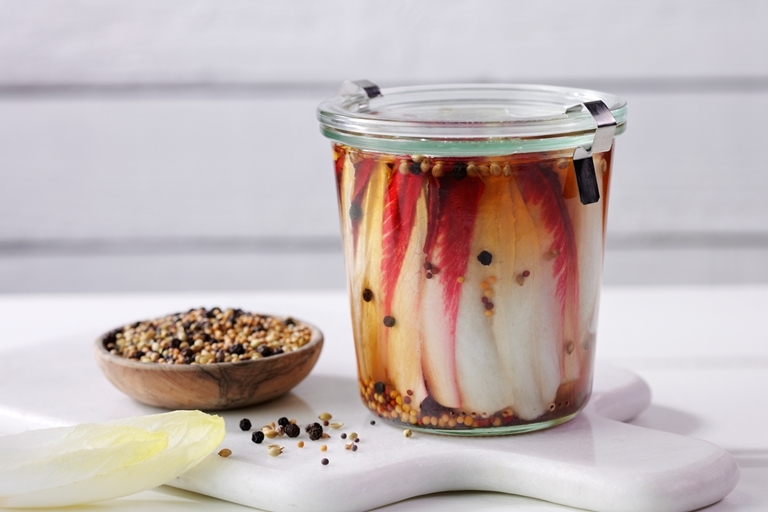 This glorious pickled chicory recipe is flavoured with mustard and coriander seeds for an aromatic finish. The pickling process gives the chicory leaves a beautifully sweet edge, which can then be incorporated into a huge range of dishes. Chicory is a forced radicchio, which results in a sweeter, more tender leaf than the usual, incredibly bitter (but equally delicious) radicchio. 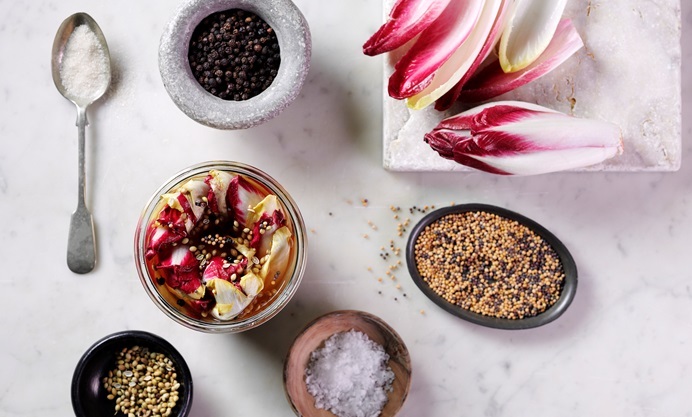 They’re delicious fresh and pickled, and we use both chicory and radicchio en-masse at the restaurant. If you can’t get hold of chicory, then radicchio works well. In a separate frying pan, add all of the spices and place over a medium heat. Keep heating the spices until the oils are released and there’s a lovely scent of warm spices. A good indicator that this is happening is when the mustard seeds start to jump out of the pan!